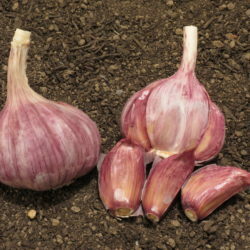 Chesnok Red / Shvelisi garlic originates from Shvelisi and the regions surrounding Georgia, Russia. 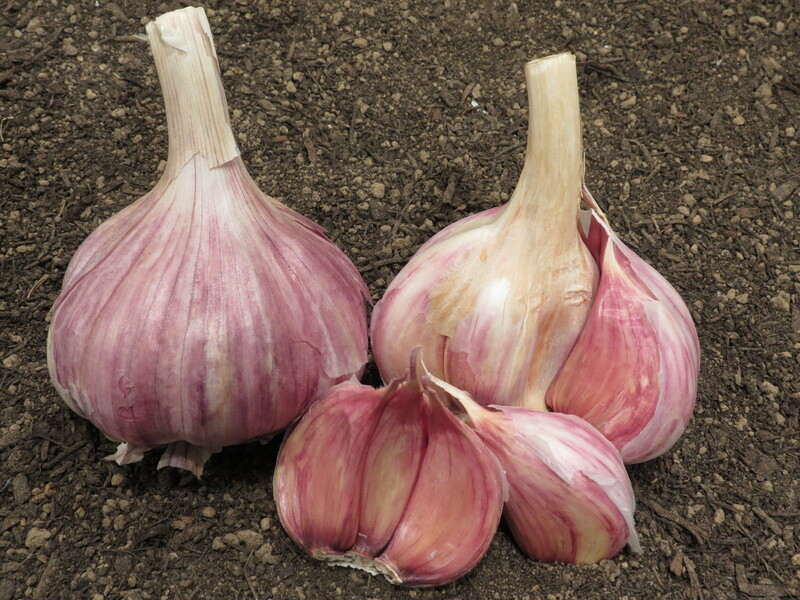 It is characterized by beautiful purple stripes and is great for cooking. It stores well for 6-7 months. 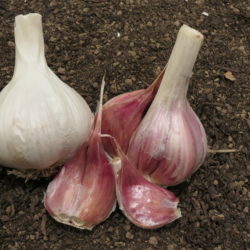 Each bulb averages 9 to 10 loose, easy to peel cloves. 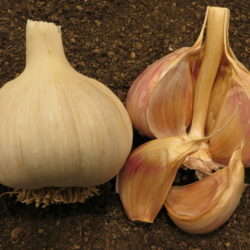 It has a full bodied flavor that lingers and is retained after cooking. 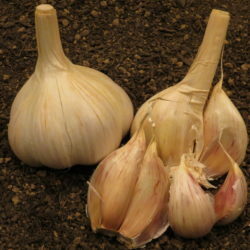 Chesnok Red is the sweetest of all the baking garlics and has earned the title as the best baking garlic. Taste-Flavor: Full bodied flavor that lingers and is retained after cooking. Sweetest of all the baking garlics.